Original full-page Swiss magazine advertisement from the year 1957 for Tissot Watch Company. 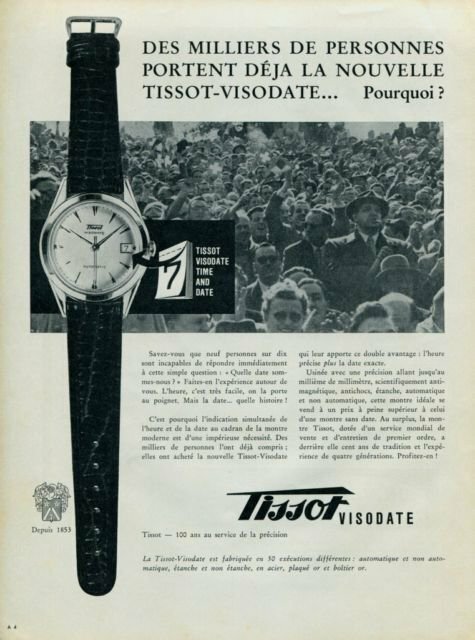 Advertised on the page is their Tissot Visodate watch model (not included). The advertisement was carefully removed from a Swiss magazine. PLEASE NOTE: There are some small bends, edgewear, and a few yellowish spots on the paper.